Reading the Bible is meant to be exciting, but for many of us the reality falls short of the ideal. We try to study it, but cannot see how it all fits together, or understand the ancient context and unfamiliar concepts. And what on earth does it mean for us now? Perhaps we long for a guide to help us in our reading - one that will not take longer to read than the Bible itself! The IVP Introduction to the Bible is a reference tool specifically designed to provide the key information we need to study the Bible effectively. Written by experts in biblical studies, it is reliable and rigorous, but also concise and accessible. The book begins with an introduction to the Bible as a whole. It then tells the stories of the Old and New Testaments, explains their background, identifies their key themes and outlines their significance for today. One chapter also surveys the bridging period between them. Central to the volume is an analysis and discussion of every main section of each testament, and of each individual book. So for every part of the Bible, we will find essential information to assist our understanding, and to share with others in our home or study group. If we want to go deeper, we will also find suggestions for further reading. "If I had only one book to help me understand the Bible, this is the one I would go for. Students and church members alike will find it invaluable. I commend it wholeheartedly." - Michael Green, Evangelist. 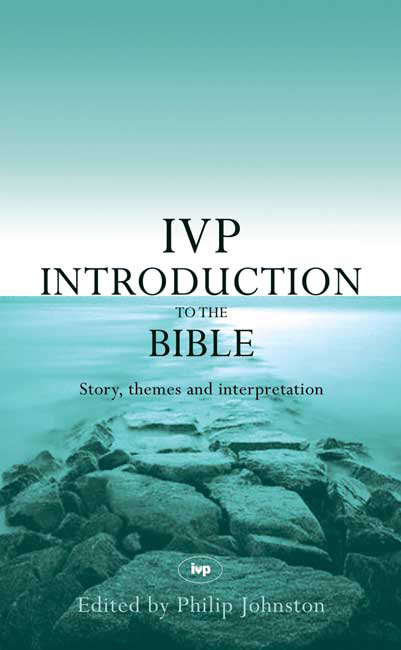 The Introduction to the Bible by Philip S Johnston (Editor) was published by IVP in May 2014 and is our 47363rd best seller. The ISBN for The Introduction to the Bible is 9781783591848. Be the first to review The Introduction to the Bible! Got a question? No problem! Just click here to ask us about The Introduction to the Bible.